Japanese tour guides are planning to improve the image of Paris following the November terror attacks. The organizers want to stage a huge clean-up in the French capital and are even going to plant sakura – the national flower of the Land of the Rising Sun. The event is being organized by the Paris Tourism Association – a group of nine Japanese tour operators – and Japan Airlines, and is set to take place March 13. The group will start with the “beautification and renewal of the Trocadero gardens” located near the Eiffel Tower, and will plant the famous sakura (cherry blossom) trees which are a symbol of Japan, French media reported. 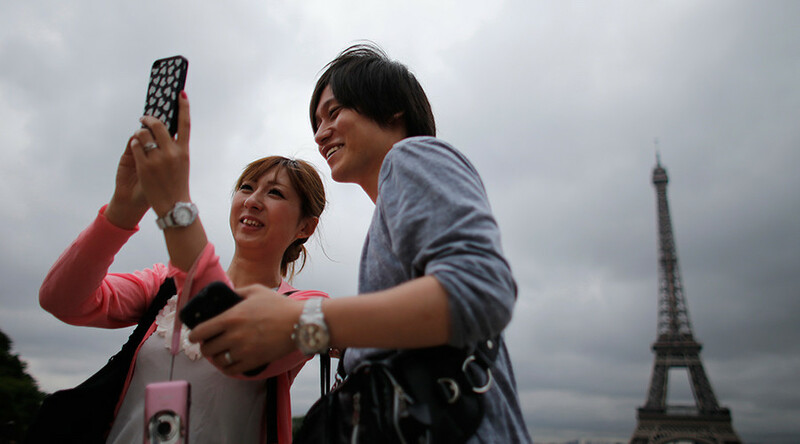 Paris attracts about 600,000 Japanese tourists every year, which helps make France the fourth most popular country for Japanese travelers after the US, the UK and Germany. In February, Paris Mayor Anne Hidalgo and the president of the Île-de-France region, Valerie Pecresse, visited Tokyo to encourage tourism to Paris after the attacks there led to a 30 percent drop in visits by Japanese travelers. In December 2015 reports emerged that the Paris tourism industry suffered a loss of about €2 billion (about $2.2 billion) after the November terror attacks that killed 130 people. At that time, France's PM Manuel Valls urged tourists to come to Paris. This is not the first time Japanese tour guides are organizing a ‘clean-up event’ in Paris. In 2007 the Tokyo-based group Green Bird started to take regular care of the Paris streets. Under the slogans “A clean town also makes people’s hearts and minds cleaned” and “KEEP CLEAN. KEEP GREEN,” the group keeps close watch at tourism hotspots the Champs Elysee and Eiffel Tower.